Today is the last day for the sugarcane growers to plant cane for 2018 season, says Sugar Cane Growers Council chief executive officer Sundresh Chetty. He said the sugar industry, with the approval of the Sugar Industry Tribunal, extended the planting season to December 31. The extension was because of the eagerness of the growers and the favourable weather conditions prevailing the country. “We are urging growers, those that have prepared their land, to complete planting today,” Mr Chetty said. “These canes will be officially accepted for 2018 season. He said the new cane planting season will begin in February or March next year and this will be for the 2019 season. Meanwhile, Mr Chetty is advising all growers to take advantage of the Government’s subsidiaries such as provision of weedicide and fertiliser. “With the current raining season, weeds will grow fast and it is important farmers control this and keep their farm clean,” he said. “We are also urging farmers to clean all field drains so that there is no stagnant water. “Stagnant water can damage crops. “As 2017 ends we would like to thank the Government for the numerous grant and assistance provided for the farmers. 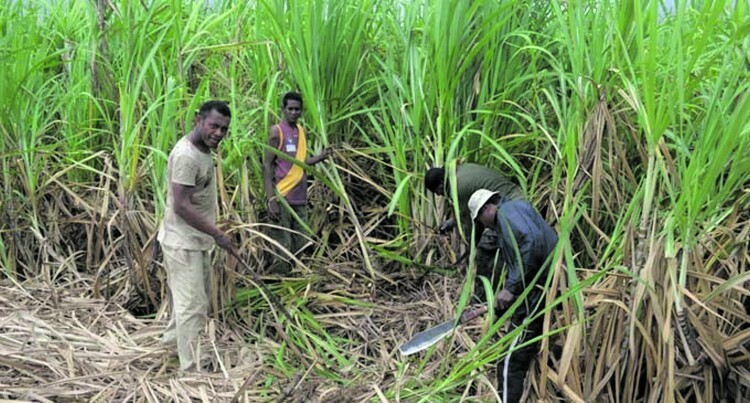 Fiji Sugar Cane Growers Fund acting chief executive officer Vimal Dutt yesterday revealed that 36 cane growers in Fiji have benefited from their micro insurance scheme this year. This new scheme began from July 1, this year where all registered cane growers or their beneficiaries were covered under the scheme at no cost to them. Mr Dutt said out of the total, six were fire cases and 30 deaths from the period July to December. “This special insurance product, the first of its kind in Fiji, is provided by Fiji Care Insurance Limited. “As for 36 cases this year we have paid out about $136,000. “It is a humble plea to those growers who have not registered themselves at our office please make an effort to get this done,” he said. “The growers have to personally fill out the form as they have to nominate and notify who their beneficiary will be. When questioned if there were any case of misclaiming of funds, Mr Dutt replied no. “Our officers carry out inspection before giving out the cheque and in such die hard need I believe no one would misuse,” he said. “We are very thankful to our board for taking this initiative apart from giving loans to growers.